Professionally filmed training courses with accompanying workbook and exercises. Each volume contains 8 hours of instruction. As everybody, from time to time, I have been struggling with life. I found many things easy and straight forward. Others unfortunately proofed to be difficult or insoluble. I had to learn that some dilemmas remained with me and I saw no way out of them. The Emotional Freedom Technique, EFT, has changed this. 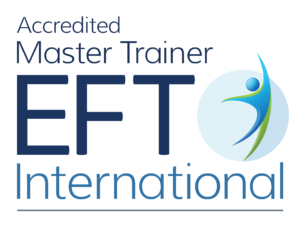 Therefore I was very happy to learn from Gary Craig what can be achieved by EFT. When practicing EFT for myself or for others, I experienced some very interesting successes, but also some failures. Then I asked myself, why I may not have been successful in some cases. With this question in mind I was looking at the Volume One of the EFT Training Companion by Gwyneth Moss and I made some very interesting discoveries. Gwyneth approaches the teaching of EFT very methodologically. Personally I like to grasp the theoretical part of a new technique, but I also like to see it demonstrated in order to enable me to reproduce the procedure myself. Gwyneth offers a superb mixture of theory and practical procedures. One can stop the DVD at any point and print the written teaching statements and then look again at her performing, what she has said. To get most out of her DVDs it is good to examine many parts twice or even more times. They are loaded in such a way that they can be truly studied with much benefit. For me these DVDs are a wonderful gift. Gary Craig has given EFT to the general public with great generosity. As a result a large number of experts with different levels of excellence have arisen. For some of them the primary motive to teach EFT is a deep calling. Obviously, they have to live of it and have to ask for some money. Yet, unfortunately, EFT has become commercialized to an important extent by now. Therefore many other motives for teaching may be dominating. 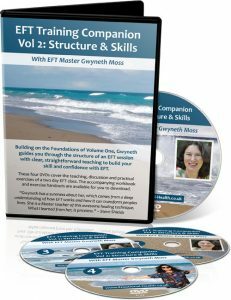 Gwyneth is a trainer for EFT as passionate as Gary. 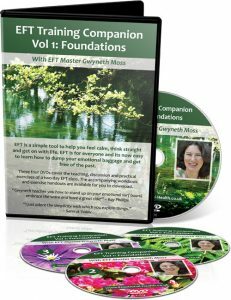 Her EFT Training Companion DVDs Volume One and Volume Two are of top value for the acquisition of competences in EFT and very much worth an investment of money and time.